Dairy Farm Cottage01263 715779work01603 870304fax Self-cateringThis beautiful south-facing, newly renovated property provides spacious accommodation, modern utilities and comfortable furniture. Set in the idyllic hamlet of West Caister, the nearest beach is a very short drive away. There is a superb selection of coastal paths and walks to tread and guests with an interest in nature will appreciate the wonders of the Norfolk Broads. This beautiful south-facing, newly renovated property provides spacious accommodation, modern utilities and comfortable furniture. 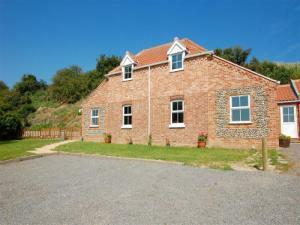 Set in the idyllic hamlet of West Caister, the nearest beach is a very short drive away. There is a superb selection of coastal paths and walks to tread and guests with an interest in nature will appreciate the wonders of the Norfolk Broads.